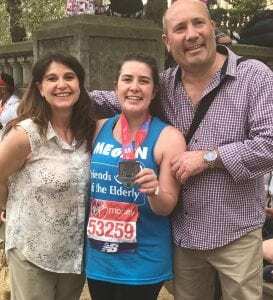 Megan Bradley, aged 22, from Malvern has completed the London Marathon 2018 in a fantastic 6hrs and 10 mins, raising an incredible £3,200 for charity Friends of the Elderly, with donations still pouring in. 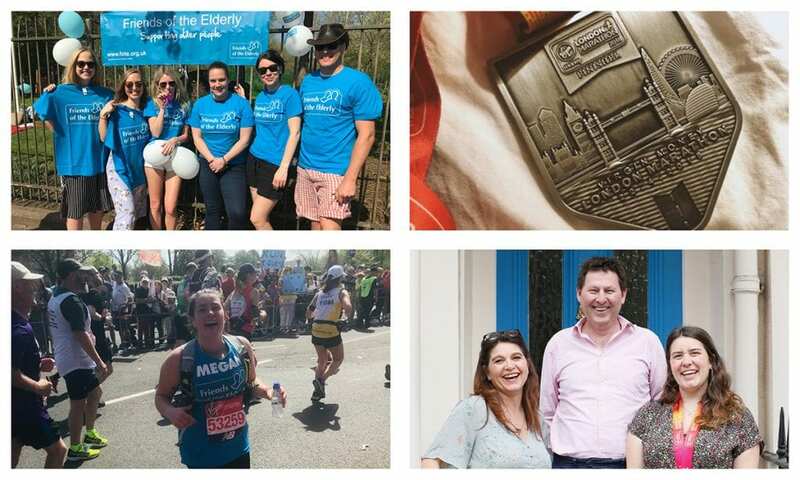 Megan has been working hard since the beginning of the year training for the Marathon and hosting fundraising events including a quiz night, a live music night, a raffle and a coffee morning. All of this alongside her final year studies for her degree at Manchester Metropolitan University. Since the age of 16, Megan has been volunteering for Friends of the Elderly at its day care service in Malvern run by sister organisation, Triangle Community Services. Megan’s mother, Shirley, is the manager of the charity’s day care services in Malvern and Kidderminster and inspired her to get involved with older people in her community from a young age.